One of my favourite destinations on my solo tour was Olu Deniz. Located on the south western coast of Turkey, it is a popular holiday destination for many Brits. Flights to Dalaman Airport are frequent during the summer months and the transfer time is roughly just an hour. Now, I am not going to give you the spiel that Olu Deniz is the perfect introduction to Turkey, because it is not. It is far from being a typical Turkish town. It is built around tourism and geared up to serve the needs of demanding holiday makers. Those who are seeking a holiday full of Turkish culture and traditions will have to explore further afield however, Olu Deniz cannot simply be written off just like that. You have to look further than the restaurants selling English breakfasts and the shops who have stolen the names of well-known western brands. Unlike other resorts such as Altinkum, these disappointing aspects are not the main focus of the resort. 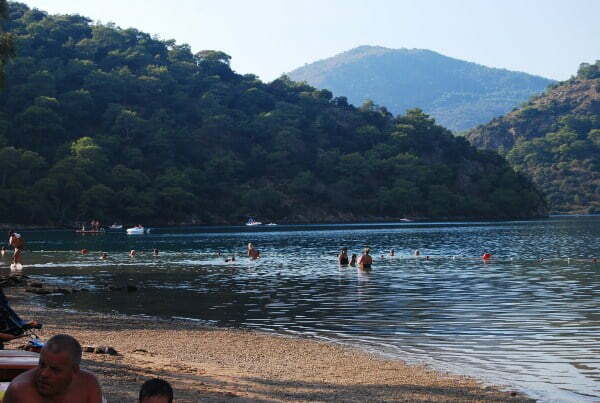 The main focus of Olu Deniz is its amazing natural beauty. The famous blue lagoon, a long sandy beach, magnificent green mountains backing the resort and just around the coastline is Butterfly valley. The semi-circle stretch of beach known as the Blue lagoon has appeared in numerous travel publications all over the world. It is what Olu Deniz is known for. I have to admit that when I arrived there, I was disappointed as the sharp blue waters that have appeared in numerous photos now appear to have been photo edited. The water of the Blue Lagoon was muddy in some parts while a pale green in others. This still does not distract from the fact that it is a great area to spend the day in. I give a word of warning in that it can get crowded. I visited at the end of season and was very surprised to find no space in some areas. Due to the fact that the blue lagoon was crowded, I found myself further on the beach, which was just as perfect. I have already written extensively about my visit to Butterfly valley here and cannot stress strongly enough, that if you are in Olu Deniz to visit it. You don’t need to jump on the daily tour boats, instead catch the local water taxi. Butterfly Valley is quite simply, another world in terms of being rustic, natural and far from the characteristics of mass tourism. Ok, Olu Deniz is not traditional Turkey. The whole town is geared up for foreigners on holiday however surely we can forgive that on the account that Olu Deniz is beautiful. It does have a vibe around it of relaxing, stress free days. It does have a certain character that makes you fall instantly in love with it. I felt comfortable exploring the resort on my own and there was certainly a lot to keep me busy so I ended up staying there for a week. Public transport to the surrounding resorts of Hisaronu and Fethiye is cheap and frequent, however in my opinion they cannot beat Olu Deniz. 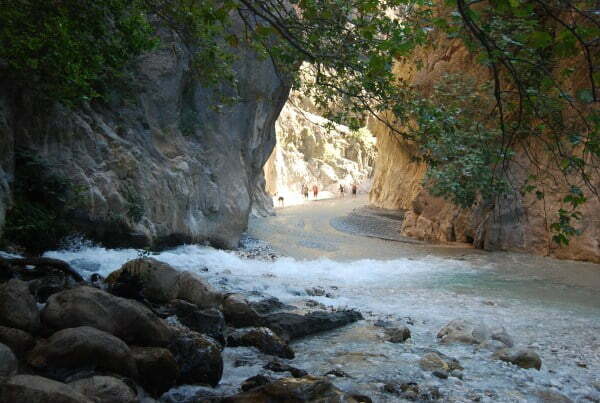 There are also plenty of excursions to do that will take you to interesting places such as Uzumlu and Saklikent Gorge. 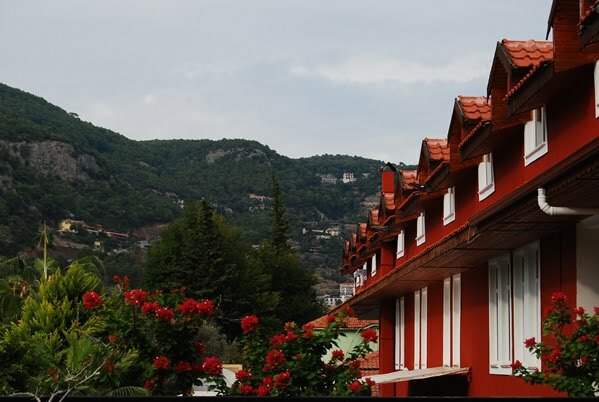 Take into account everything that I have stated above and it is easy to understand why many people have made Olu Deniz a destination that they return to year after year. While I am the first to shout about experiencing a traditional Turkish holiday, I give Olu Deniz thumbs up if you are looking for an ideal holiday location in Turkey. 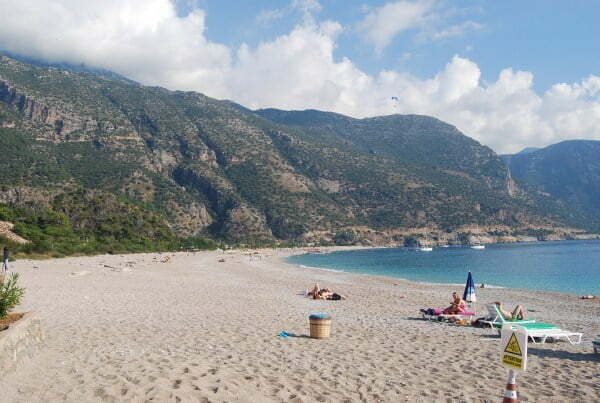 Readers Question : Have you been to Olu Deniz? If so, did you love it as much as I did? spent two weeks in olu deniz this year, after visiting the lagoon for the odd day in the previous two years. yes the beach is good, yes the lagoon is fabulous, but after that, well, nothing really. expensive tat for sale everywhere, restaurants comparatively dear and few of any great quality. its like a british seaside resort, but with sun and mountains. wouldnt go again for more than a day at the lagoon, but glad we went, as we can cross it off the list of places to stay, and we now know not to go again. Thanks for commenting Katie. I do appreciate your feedback. Unfortunately I had to remove the company website mention box because it goes against my T&C for advertising – hope this does not offend. Thanks Ozlem – I would go back in a heartbeat. Lovely photos Natalie, i am ready for the swimming! 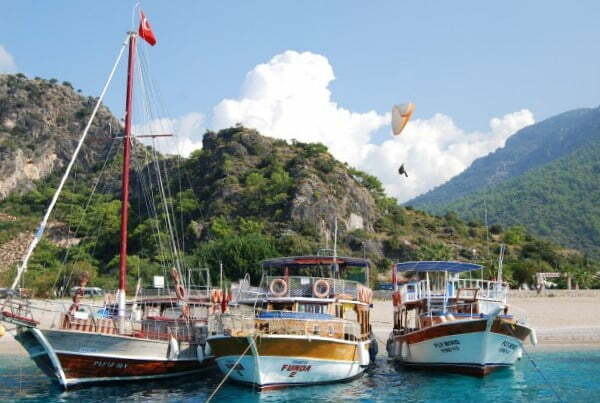 I have been to Oludeniz a few times, did enjoy the sea though it is the surrounding natural beauty was the highlight for us – butterfly walley, saklikent, mountains, all so worth visiting. My family has been to Olu Deniz several times and my kids absolutely love it. Yes, it’s not typical Turkey but we get plenty of that experience when we visit my in-laws on the Black Sea. 😉 I agree that Saglikent Gorge is a must-see and for just letting your cares drift away, there’s nothing like floating on an inflatable raft in the Olu Deniz Beach. I loved the natural beauty around Olu Deniz. The resort itself was a big disappointment, it’s built solely for tourists and it has no character. 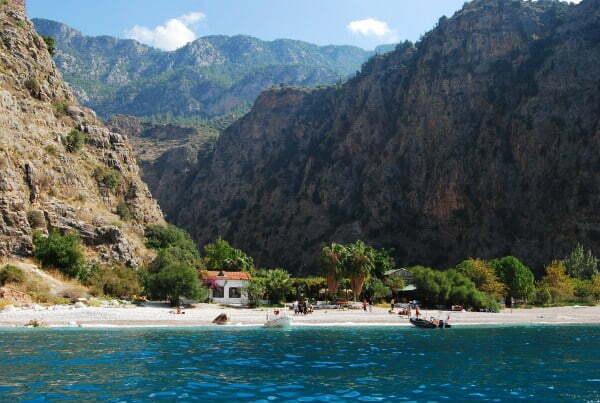 However, the area is really stunning, so I didn’t regret choosing Olu Deniz for that summer holiday. Gorgeous photography Natalie! I love how you captured the paraglider in “Boat Trips” and the red against the blue in “Mountains.” Really Stunning. Hi John. yes the paragliders constantly flying over the top of your heads can be a pain. Would definitely recommend Veske for any paragliding experiences as the transfer up to the mountain is shorter as well. Natalie, as usual, well written and nice photos, I am always glad to see one of your posts show up in my email inbox. Ölu Deniz is definitely “each to their own,” I did not like it at all, just getting there during high season was a touristy mess. In season the beach is very crowded AND the seemingly hundreds of paragliders landing on the beach, constantly creating near collisions with bathers. If your readers want a safe paragliding experience they should come see Veske in Ka?. I was not wowed at first glance Alan but once I explored and realised that there is a lot of beauty, I warmed up to it. You should have seen it 15 years ago Natalie. It was so beautiful before the massive tourist expansion. A glimpse is available off-season if you can blinker yourself to the closed shops! really nice photos again Natalie. Not at all enamoured of the place, but as you so rightly say ‘each to his/her own’. Looks like a beautiful place…..love your pics. Glad there are lots of Brits there, at least someone speaks English. I must ask my husband if he was ever over there. he usually went to every beach around growing up there in Izmir. ….have a great day and thanks for sharing your wonderful photo’s again.. I love Olu Deniz and am one of those people that return every year. I too also travelled there on my own last year. People are so friendly and the atmosphere is relaxing. Although not traditionally turkish you can get to find out so much about the turkish culture if you take. the time to ask. Can highly recommend the paragliding but insure yourself at home first. I was a bit disappointed when I first arrived however once I took in all that is beautiful about it, it is hard not to like it. 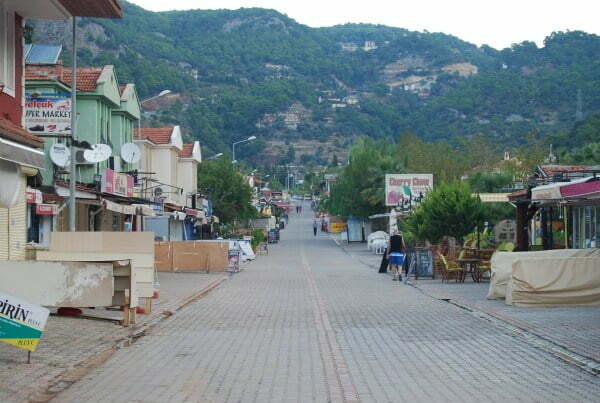 People should see Altinkum before they write Olu Deniz off! Glad you liked Oludeniz. I said in a previous comment on here that I think it gets a lot of bad press. We prefer the main beach of Belcekiz to the lagoon because it’s *slightly* cooler in summer. It is very touristy but people really have missed out if they don’t see it when they’re in the area.